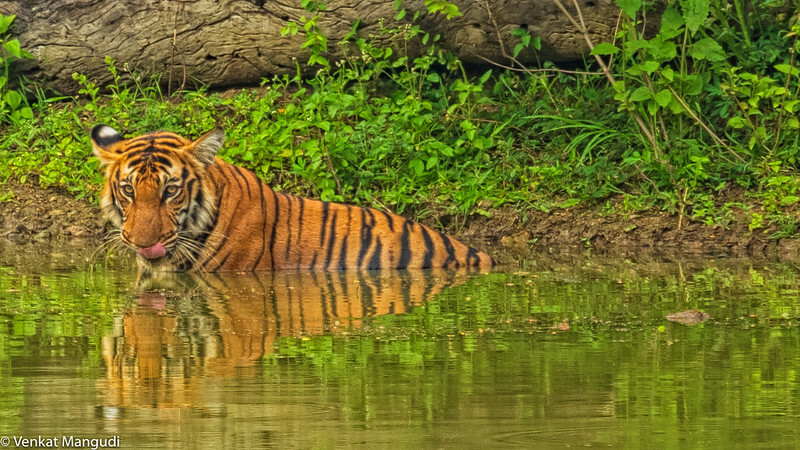 I go to a nearby national park popular for tigers, leopards, wild dogs, sloth bear and a large variety of birds. I shared the black panther and leopard in my previous post, here are some more from that trip. I liked the reflection on this picture as she was drinking water. 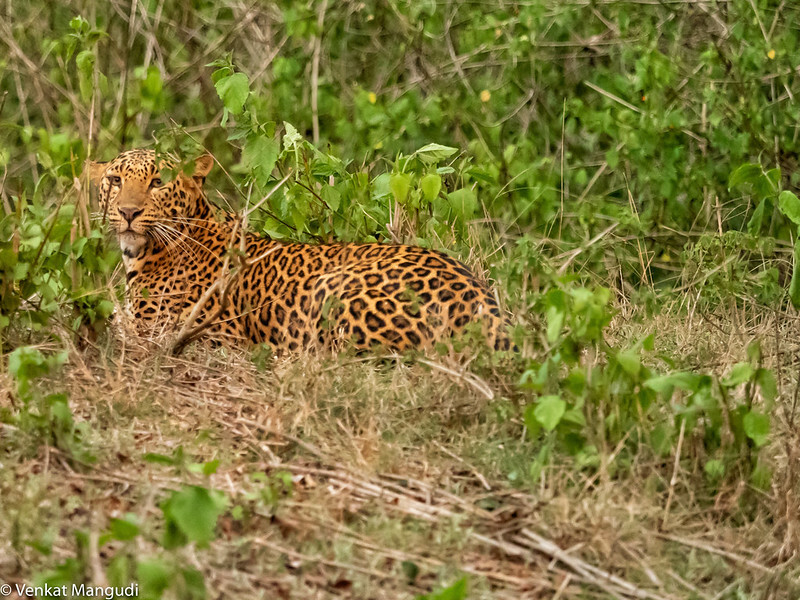 And then we spotted this mating pair of leopards. 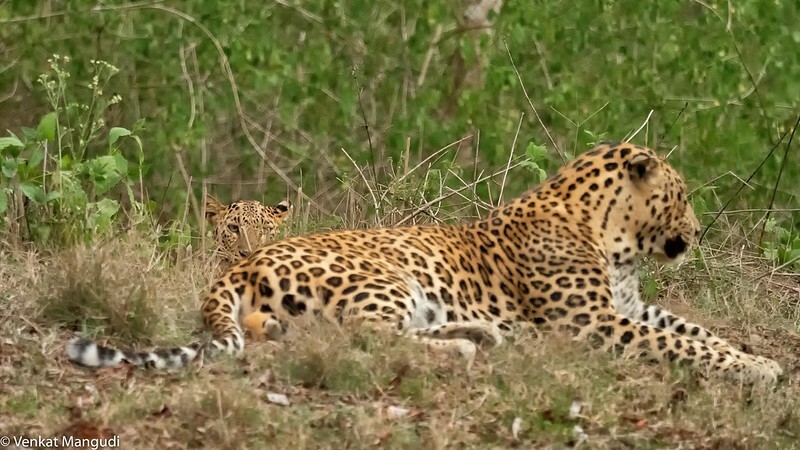 The female was not as bold as the male and hid behind a small mound where the male was sitting, keeping watch. Here's another picture of the female, taken a few minutes later. A couple of birds to round up this post. If I should limit it to just 3 images per post, please let me know. A pair of Streak Throated Woodpeckers. 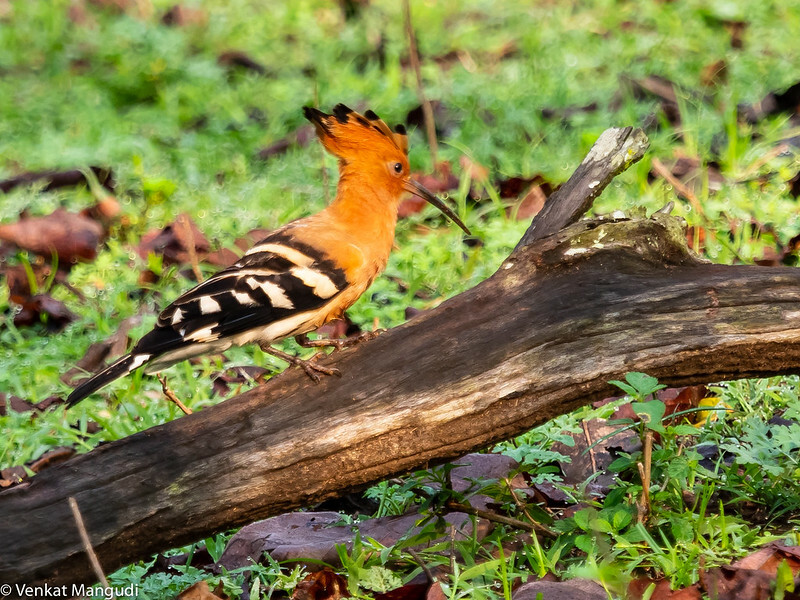 The male has a red head and is seen hopping in this picture. The female has a black top and is just visible in this shot.